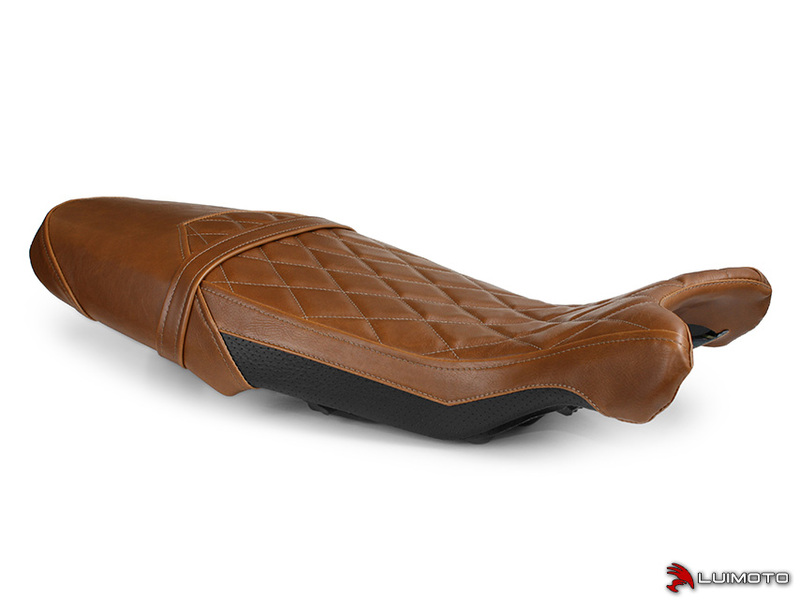 Introducing the R nineT Vintage Diamond seat cover. It is made with a vintage style fabric available in brown, dark brown, and black. This leather look material features signs of distress, and is stitched in a luxurious diamond pattern. All of these elements come together to complete the look! Stand out with the finishing touch of Luimoto! Colour materials may slightly differ in photos and in person. We use the closest matching colour available. Email us to request fabric samples before ordering.